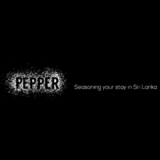 Guided by Sri Lanka’s leading experiential travel experts, Pepper’s exceptional on-the-ground knowledge and impassioned specialists have scoured the island in search of a collection of curated experiences which offer an insightful perspective for visitors. Our intention is simple, to showcase Sri Lankan diversity and provide travelers with the opportunity to engage in meaningful encounters with local people, whilst promoting the conservation of the island. Discover the country’s many hidden corners, intriguing past and sensational dishes, as a variety of experts, authors, artists and historians, draw you into a world of creativity and storytelling. Allow us to Pepper your journey with tailor-made and innovative experiences found away from the well-trodden tourist trail and transform your trip. Make your own meaningful memories to tell those back home after the opportunity to connect with the island in a more authentic way.